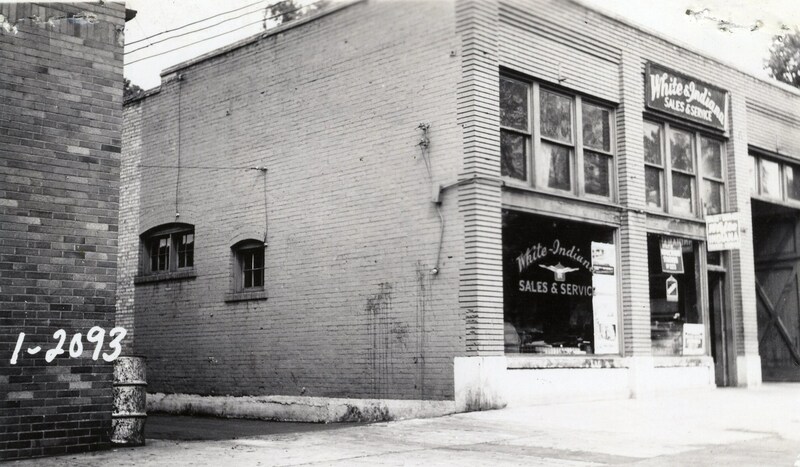 Several weeks ago,we posted an image of a building taken in 1937 and asked readers to guess the business that occupies it now. Most of you provided the correct answer: The King’s English Bookstore, 1511 South 1500 East. No one was able to name the cat that used to live amongst the bookshelves (her name was Agatha!). Image taken in 1939. Salt Lake County Tax Appraisal Photographs, serial 1-2093. Built circa 1919, it was used at the time of this image (1939) as a service garage. What business occupies this building now? Extra points if you know what the White-Indiana company manufactured and sold. This entry was posted in Contests, Salt Lake history and tagged White-Indiana. Bookmark the permalink. It is Ken Sanders’ Rare Books, located at 268 South 200 East. Correct. It is Ken Sanders’ Rare Books, located at 268 South 200 East. I had already replied the SE corner of 9th and 9th. Now I can say it is the Millenium Dance Complex in the photo. I took a pic just now. Ken Sander’s rare books is there now. The White-Indiana company manufactured and sold White buses. At first glance, it looks like the south east block of 9th and 9th. Looks like Ken Sanders’ Rare Books to me.